October 18, 2018, Chief Hans Rhynhart, Associate Vice President and Chief of Police, publicly welcomed the Division of Environmental Health and Safety (EHS) to the Division of Public Safety team. This acknowledgement was part of the annual Division of Public Safety Promotions and Recognition Ceremony. Staff from all UConn campuses committed to keeping UConn a safe place to work, research, and learn filled the Public Safety Complex for the event, a short pause in the day to celebrate professional accomplishments, new talent, and emerging opportunities. The UConn Police/Fire Honor Guard opened the ceremonies with the presentation of the colors and national anthem. In addition to Chief Rhynhart, honored speakers included Master Sergeant Gerald Post, Executive Vice President and Chief Financial Officer Scott Jordan, and Fire Chief William Perez. 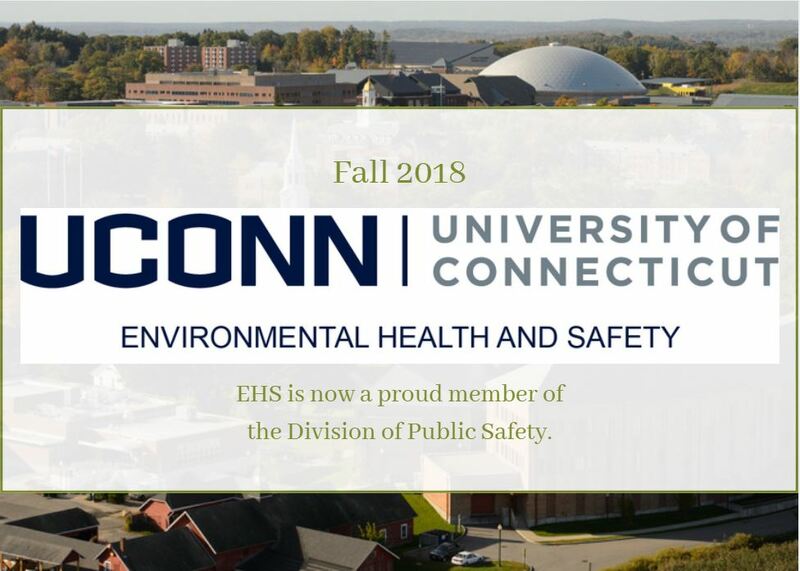 In addition to EHS, staff were recognized from the Office of Emergency Management, the Fire Marshal and Building Inspectors Office, the Police Department, UConn Farmington, and the Office of Environmental Policy. Our favorite furry colleague, Facility Dog Tildy, was even recognized as a new addition to the Public Safety team. We in EHS are proud to now be part of the Division of Public Safety. As members of our new Division, we will continue to support research, teaching, learning, and the meaningful work of staff in all areas of campus. As always, we will continue to collaborate with and support faculty, staff, and students at UConn Storrs and all regional campuses. Our offices will also remain in the same location. We look forward to seeing you on Horsebarn Hill for safety training soon! This entry was posted in EHS Major Event.